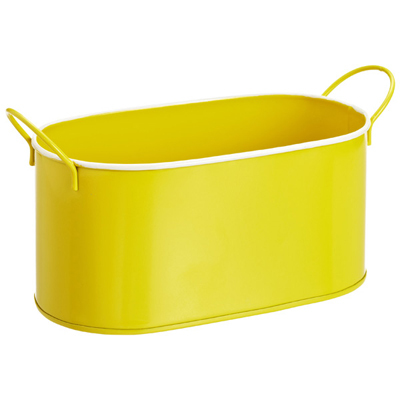 Round up some fun with the Yellow Oval Enameled Metal Bin! It’s a colorful, playful choice for presenting party favors or as gift packaging. It’s also sized just right to organize crayons, cars, bows or building blocks in a child’s room or playroom. The pail-style design makes it easy to tote from room to room at clean up time. $5.99. Buy here.